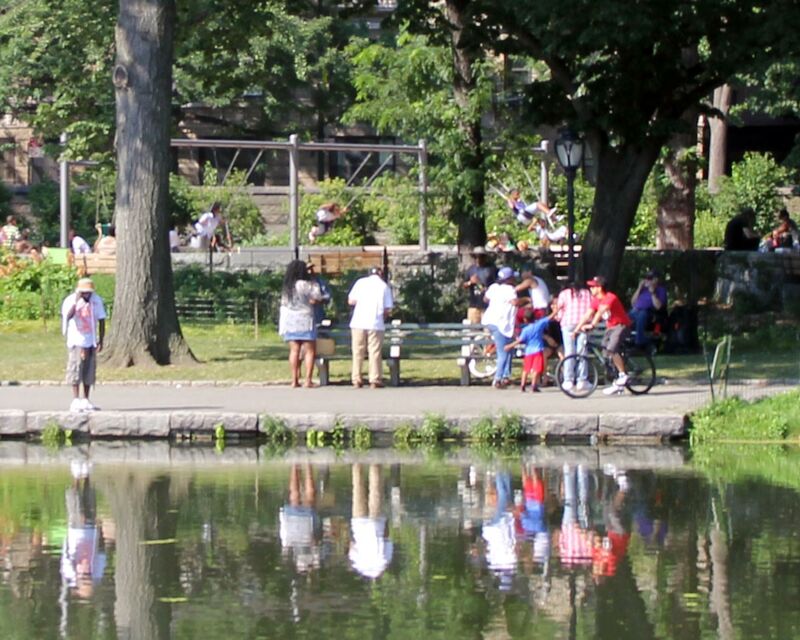 One of two Harlem Meer "marginal playgrounds" built by the WPA in 1936 (info from the Central Park Conservancy). This one is called the East 110th Street Playground, even though it is on West 110th Street! That's because there is already a West 110th Street Playgound to its west.